Light on your feet and bright as the sun! 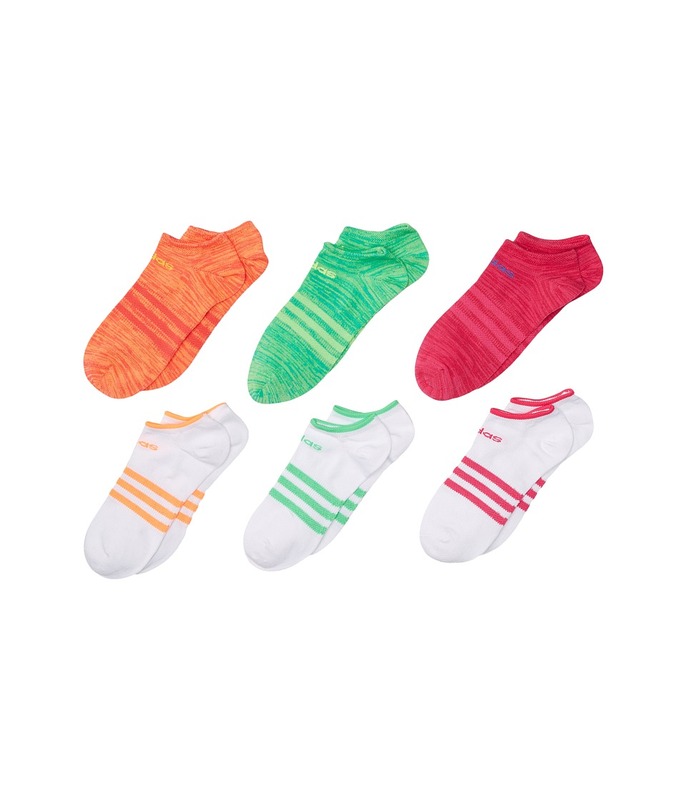 Slide on a statement with these Superlite socks from adidas Kids! Sold as a six-pair pack. Features CLIMALITE fabric to wick away sweat. Elastic arch support reduces fatigue. Flat knit design for total comfort. Y-stitch heel. 97 percent polyester, 2 percent spandex, 1 percent natural latex rubber. Machine wash cold, tumble dry low. Imported.